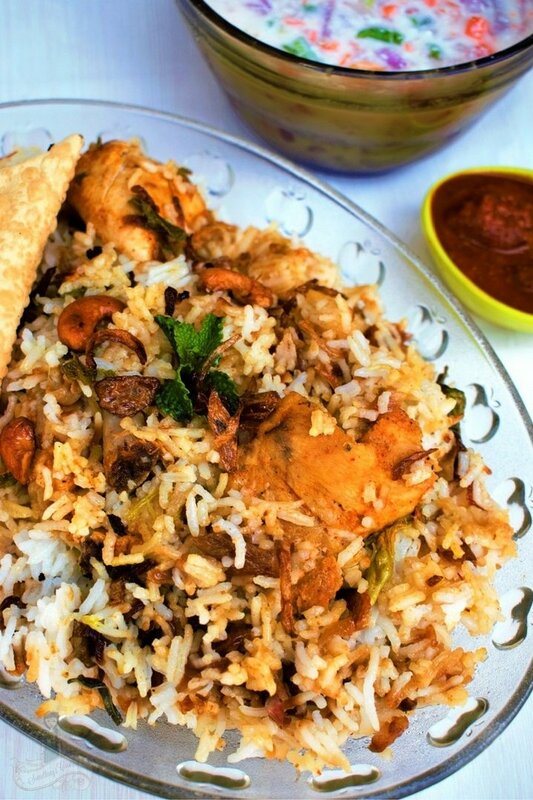 Hyderabadi Dum Chicken Biriyani is a world-famous dish from Hyderabad, India. It’s a non-vegetarian’s delight. Preparing a good Hyderabadi dum biriyani is fairly simple since there is no sauteing of spices or meat. All you have to do is cook the meat and rice in a slow dum process, trapping the steam and aroma to retain the flavor and authentic taste. 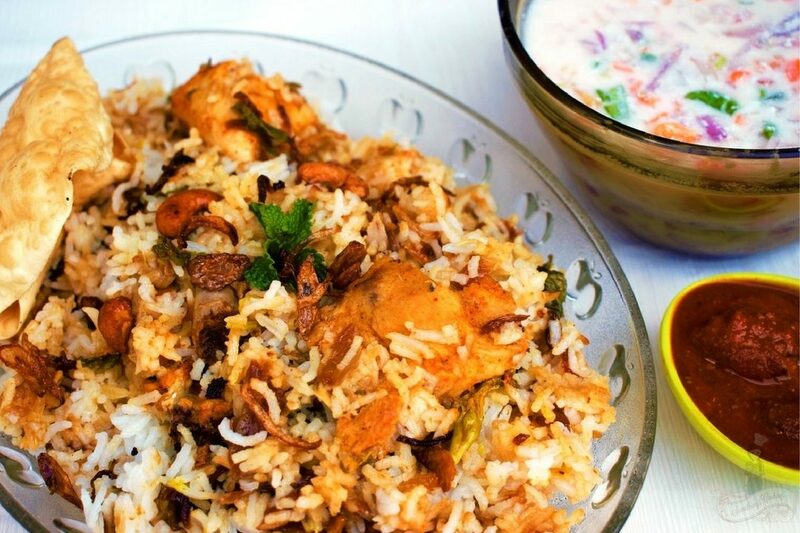 Chicken Biriyani is a classic Indian rice dish where the rice is layered, sealed and cooked with chicken and spices. 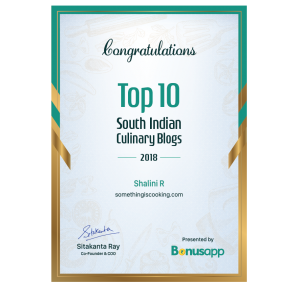 It dates back to the royal kitchens of the Mughals and is now popular across the globe. Since the dish is cooked in an airtight pot on a very low flame, the rice absorbs the rich flavours of the meat. The rice is cooked first, but only until 3/4th done. Thus, when the final dish is completed, it enables the grains to remain separate and unbroken. 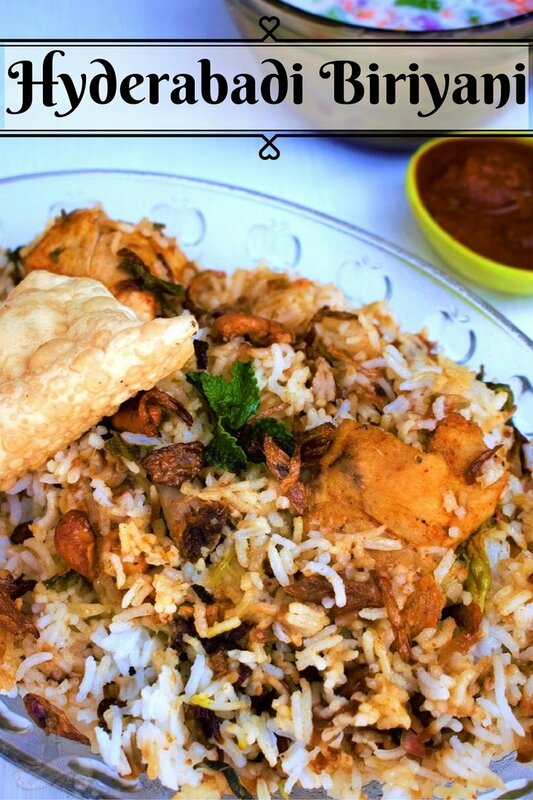 Chicken Biriyani can be served on formal/informal occasions and also for lunch/dinner. Wash and soak rice in water and keep aside. Fry/brown the finely chopped onions and keep aside. Take a deep heavy bottom vessel and let's marinate the chicken with the ingredients listed under marination. Keep aside.This is the same vessel that you would be using to layer the rice and completing the final dish. Heat water and add the ingredients for cooking the rice. Let it boil. Add the soaked rice and cook till 3/4th done. To the marinated chicken, add a layer of the 3/4th cooked rice. Add about 2 tbsp of browned onions, mint leaves, coriander leaves, a tsp of garam masala powder and cardamon powder. Layer again with cooked rice and repeat the process. You can add 3 tbsp of saffron soaked in milk, 2 tbsp of ghee and fried cashews on top of this final layer. Add little more ghee on the sides of the rice so that it gets into the chicken beneath. Cover the vessel and you can either seal it with dough or a cloth. This helps in creating steam inside and retains the moisture. Cook in high heat for about eight minutes. And you can find steam coming out from the sides. Lower the flame and cook for another ten minutes. The raw chicken would be cooked through and so will the 3/4th cooked rice be. Garnish with browned onions and fried cashews. Serve hot with pappad, onion-tomato raita and fried boiled egg. You can skip adding saffron milk, if you do not have. I didn't. Do not overcook the rice. Keep an eye on it as basmati rice tends to cook faster. It is advisable not to multi-task when the rice is being cooked. You can reduce the amount of ghee, if required. You can also skip sealing the vessel with a dough or a cloth. Make sure it is however, tightly closed with a lid. Do not overcook the rice. Keep an eye on it as basmati rice tends to cook faster. It is advisable not to multi-task when the rice is being cooked. You can reduce the amount of ghee if required. You can also skip sealing the vessel with a dough or a cloth. Make sure it is, however, tightly closed with a lid. I’ve seen my friends enjoy this scrumptious dish! I’ve had the veg version. Yummy!Super photos as usual, Shalini! I’m always searching for another delicious chicken recipe, and this will go in my cookbook. I can’t wait to try it. who doesn’t love a great Biriyani, I am a forever lover of Biriyani! I just don’t like mint in my Biriyanis. 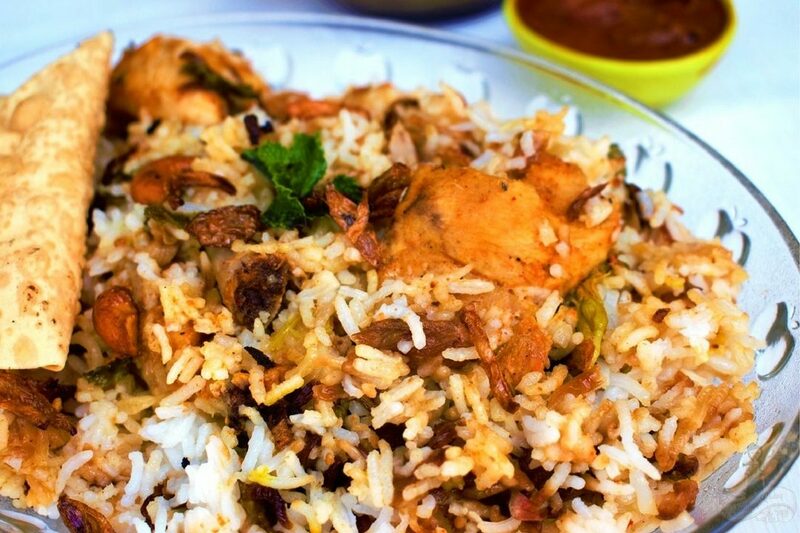 We love chicken biriyani and our favourite is Malabar Chicken biriyani. Hyderabi is second faourite. I will surely try this recipe. Yum yum!!!! Got to try this!!!! Thanks for the recipe. Biryani is my favourite dish – this looks pretty easy to cook – will be trying it soon. I saw biriyani made on a cooking show yesterday. I am definitely trying this. Oh yum! This is will definitely attempt! That looks too yummy, T. 🙂 I thought it’d be Halwa, but this is another dish I love to have! Your theme is becoming one of my favorites!